Seems like Troost is starting to build momentum on developments, so let's start a thread dedicated to happenings along Troost, primarily in the mid-town/university area. Barbecue giant Ollie Gates of Gates Bar-B -Q is beginning phase-three of his plans to bring economic development to the east side of Kansas City, Mo. Gates is building a new 30,000 square foot shopping center on the southeast corner of 47th and Troost. “What it really means to me is that progress is being made in the area where I had something to do with it,” Gates explained. The new strip mall is the second strip shopping center built by Gates. The first one is a 15,000 square foot building that opened last fall. At least two businesses are now tenants there. “Nothing has been rented out; we’re doing this speculating and hoping that the transformation of that area will bring some notable businesses across Troost,” Gates said. Some of that block is empty. However I do like the building on the corner. That will be missed. New project trying to suburbanize the intersection even more. What is with the faux-colonial style?? Yea, this is well intentioned, but won't be anything worth thinking about after it is completed. Wonder why they would feel a subruban style strip mall would be successful? I would think you'd want to drift off the urbabnity of the area. I believe faux-colonial style is what Mr Gates used for this development at 47th/Paseo - brick buildings with white columns. Kinda reminds me of suburban developments in Memphis (or any place in the South) where a developer thinks they're adding some flair to an otherwise sterile strip mall. I'd rather see the north side of this section developed - it's mostly empty lots or parking. I'm tempted to say 'any development is good development' here, but need I'll just hope for the best. The Troost-area is now central to the punk community. The Studded Bird of the East Crossroads, has ceased and the action's moved into musician's houses and apartments. Good opportunity to see some savage shows in small spaces, the best kind. Last edited by pash on Fri Feb 03, 2017 5:49 pm, edited 1 time in total. I was hoping that area, and parcel, would start development of a biomedical research corridor from the Stowers Institute and UMKC north towards Hospital Hill and Kansas City University of Medicine and Biosciences. As much as I want to complain about the design of the shopping center, it's the tenant mix that Gates gets in there that will determine whether this thing had a positive effect on the area or not. Considering that the first tenant into his previous development is a liquor store, I'm not too optimistic. I'm also disappointed that that Apple Market will only get a "facelift" - a new facade on that store means it will continue to be a pretty awful place to shop. I don't even know what to say about this. This guy is suburbanizing land along our busiest bus line that just introduced MAX service. He's going to displace a few small businesses and tear down original urban buildings in the process. Being JUST east of the Plaza, southeast of wealthy neighborhoods, north of the Universities, having an existing semi-urban Walgreen and CVS, grocery store, and other businesses, as well as being on Brush Creek, this area has (had?) 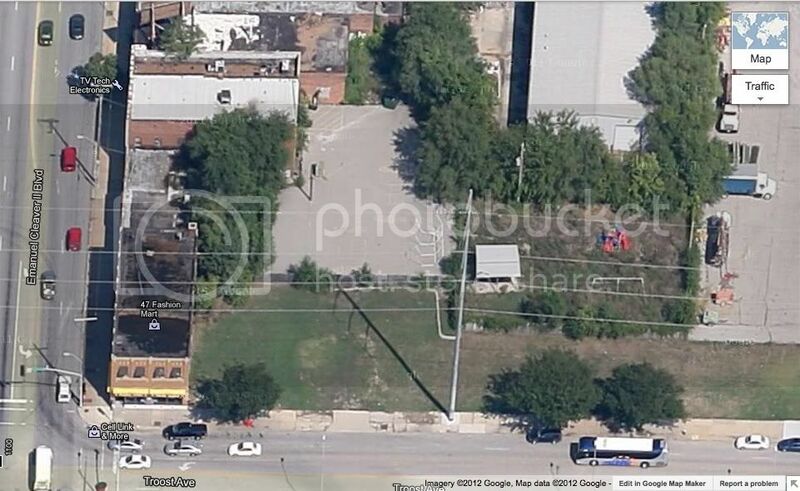 a great potenial to be urbanized and turned into an "east plaza" neighborhood center or something. Yeah it's pretty bad. Could reuse at least the corner building and build up a nice little block there. What's worse is that he stated there are no interested tenets as of now. Last edited by pash on Fri Feb 03, 2017 5:55 pm, edited 1 time in total. Works? The suburbs don't look like Troost. And the River Market, suburb: doesn't work like Troost, Midtown. 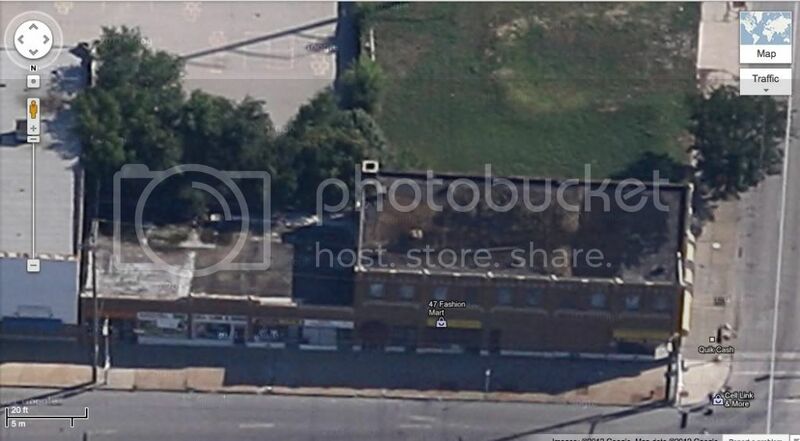 WinchesterMysteryHouse wrote: And the River Market, suburb: doesn't work like Troost, Midtown. WinchesterMysteryHouse wrote: Works? The suburbs don't look like Troost. You're right, all those abandoned strip malls have big empty parking lots in front of them, which so far only afflicts some parts of Troost (soon including this spot, I guess). Plenty empty lots, paved and otherwise. If a mixed use urban environment were attractive, in terms of quality of life, some baller like Gates would've flipped the urban fabric on 31st & Troost. Urbanization is my preference but I'm not holding my breath. "Quality of life" has nothing to do with it, it's all about economic incentives. "The suburbs don't look like Troost," but the suburbs don't look like Paris either. Suburban development exists not because it necessarily "works" on its own merits but because every level of our government has incentivized it in myriad different ways. phuqueue wrote: "Quality of life" has nothing to do with it, it's all about economic incentives. "The suburbs don't look like Troost," but the suburbs don't look like Paris either. Suburban development exists not because it necessarily "works" on its own merits but because every level of our government has incentivized it in myriad different ways. Exactly. If suburbs just "worked", then people would still be flocking to Raytown and Grandview, or even northern Johnson County. WinchesterMysteryHouse wrote: If a mixed use urban environment were attractive, in terms of quality of life, some baller like Gates would've flipped the urban fabric on 31st & Troost.